4.72 ac Approved Building Lot ready for the Home you have always wanted! Come take a look at the Convenient Location and Country setting in Galway schools!! The area features many beautiful homes...come add yours! Make an appointment for a lot walk to see all this property has to offer. Josepha Macherone is a gem! She was all we could ever hope for in an agent. She blended in with our family in every way. We could not have had anyone better. I was impressed with the effort that was put into selling our house. I honestly did not think our house would sell because of previous experiences with agents. We could not be happier with Josepha's help. Josepha really worked hard and it showed! She was great! We found Josepha to be very personable and accommodating. She guided me through the entire process. which was very helpful being a first time home buyer. Jospeha was outstanding. This sale was part of an estate and as executor and being out of state. I needed an agent who could handle the details and keep me informed. An additional problem was the poor condition of the property and Josepha's knowledge helped market the property very effectively. It sold in 5 days w/multiple offers, well over asking price. I would recommend Purdy Realty and Josepha Macherone to anyone seeking a positive outcome and sale to their real estate needs. Josepha was excellent to work with & was always there for us every step of the buying-selling process. 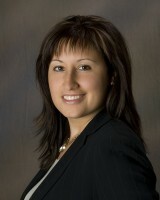 Josepha is a true asset to Purdy Realty. Buying & selling a home at the same time is extremely stressful on its own. Having an agent that truly understands is crucial. Josepha was extremely knowledgeable, patient, experienced and professional. You're very lucky to have her a part of your staff! She responded to any of our concerns or questions promptly, very politely and with understanding. Most contact with her at opening walk-through - very pleasant, helpful. Very comfortable to be with and work with. Thank you for your service., and delicious cookies - very thoughtful!